Sheep were tested this year with an extremely dry autumn that turned into what became an incredibly wet winter and September flooding. The Macquarie Dohnes have handled this extremely well. James classed out ram weaners a couple of weeks ago and was impressed by the growth, staple length and nourishment. Key traits that have been our focus. The Global Dohne Conference was an outstanding success.It was good to see many clients attend this international event. Thank you for all those that supported the event and Michael O’Brien for giving a welcomed talk. Flock ram sales have once again been positive with over 400 rams so far been sold for this selling season. Our 13th annual on property sale was postponed due to flooding and turned out to be a resounding success. 146 rams sold from 153 rams offered (the second largest offering of dohne rams in Australia) topped at $8000 (equal highest in Australia) and averaged $2042. Six clients couldn’t make the sale due to the inclement weather. Congratulations to Stephen and Di Perry who purchased MD151937 a son of ‘Tom’. 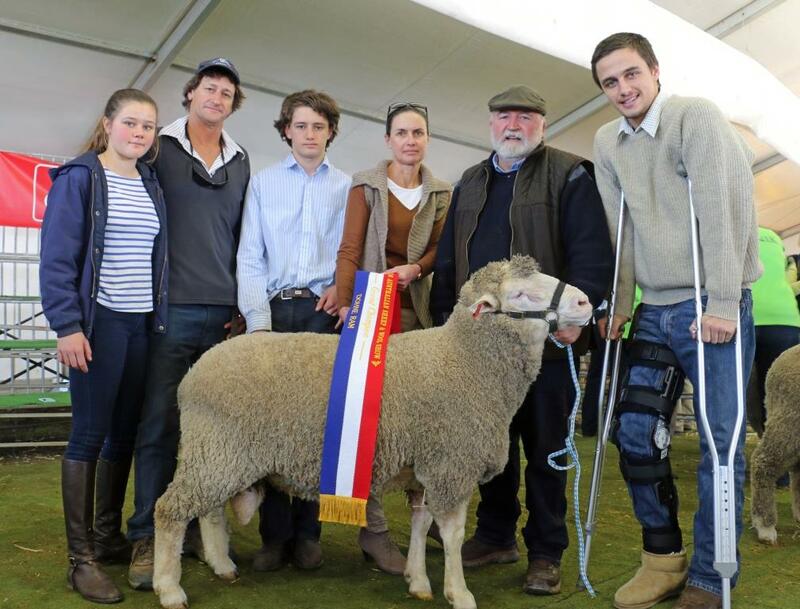 Greg McCann, Di Perry, John Nadin & Stephen Perry with the top priced ram. The Victorian and Tasmanian sale were combined this year and held at Ballarat. Macquarie had the largest offering selling all 19 rams and topping the sale at $3300 and the highest sale average of $2150. Congratulations to John Elliot on purchasing MD152119 from the Olympus family. 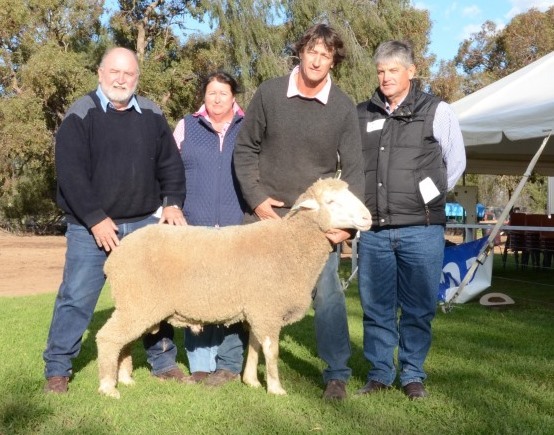 Bill Mildren (classer for John Elliott) , John Nadin & John Elliot with the top priced ram. Showing was performed for the first time in Australia at the Bendigo leg of the GDC. Grace, John, Peter, Robyn & James Nadin with Greg McCann holding the Supreme Exhibit.